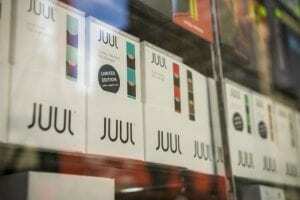 This has been a busy fall for JUUL, the e-cigarette company critics fear will engender a new generation of nicotine addicts. In mid-September, the FDA threatened that if e-cigarette companies did not produce sustainable plans to restrict youth access within 60 days, they would ban their products all together. JUUL announced on November 13th that they would discontinue most of their flavored e-cigarette products in physical stores, leaving flavored products available online with an age verification process. The announcement came just days before the FDA proposed their own restrictions on flavored tobacco products, leaving only tobacco, mint, and menthol as available flavors in US stores. Menthol may be the next to go, though, if the FDA moves forward with Scott Gottlieb’s proposed plans.